When inspiration strikes I don’t hold back. I write, and I write, and I write… and then I write some more. 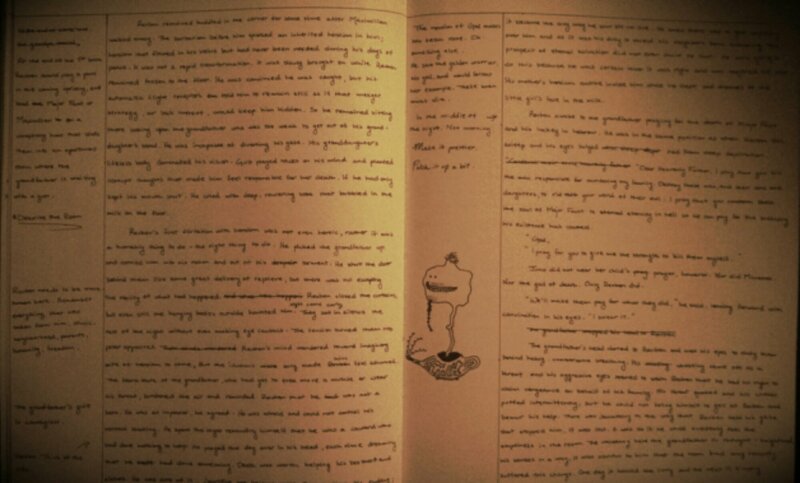 Even if what I’m writing doesn’t quite make sense, or isn’t entirely cohesive, I still continue to scribble. I have no qualms with scratching out sentences, paragraphs, or even entire chapters. If the content doesn’t sound proper then I restart and use what did not work as a building block for what will come next. I just go with the flow until my stream of thoughts stop, and then I look back at what I’ve written and fill in the blanks. I sharpen the content, correct mistakes, embellish the details, improve the dialogue, and on and on. Sometimes I’ll write ten pages or more before I revise and clean up the mess of what I thought were fantastic sentences. Looking back on pages of messy prose I can’t help but think of Ernest Hemingway’s philosophy: “Write drunk, edit sober.” Writing an entire chapter without proofreading or looking back is very much like being in a drunken stupor. But who am I to deny my mind from dancing with the pen? There should be no restraint. I don’t abide by certain structures when I write, except for the structure of the page. I leave margins in my manuscript because I know there will be errors in the prose and my notes, or marginalia if you will, help me keep track of what needs improvement. I take these notes into consideration when I transfer my handwritten content to my digital copy. This is my revision process and it serves me well. A margin of error is necessary and unavoidable. Don’t shy away from faulty prose – the very act of putting your thoughts into writing will benefit your story. There will be mistakes. The important thing is learning from them and molding them into a beneficial component of your project. This entry was posted in Writing Process and tagged books, constructive, handwriting, manuscripts, marginalia, novels, revise, workshop, writer, writing, Writing Process. Bookmark the permalink.